Check out this video we made in our facility. It’s almost semi professional 🙂 but the sausage salad tastes awesome! I hope you all had a good New Years Eve. Our production is back to full production after the holidays. 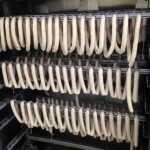 To give you a little insight into our production, this is what our Franks look like before they are smoked and cooked. During that they turn into that nice brown color we all love. …this time it actually is. 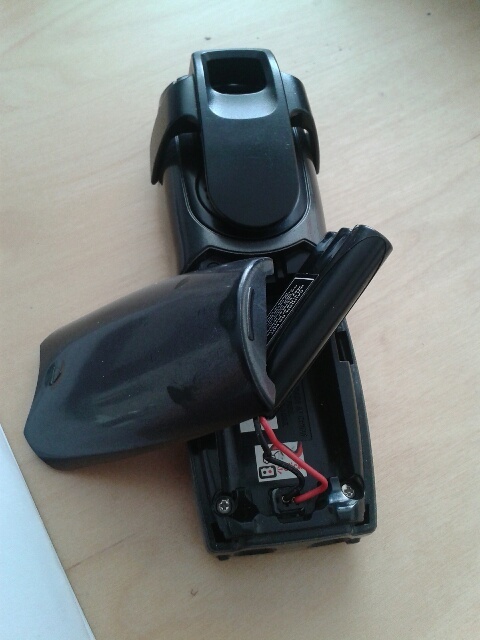 We tried to use an old phone as company phone. Yesterday it just stopped working. I tried to fix it but to no avail. 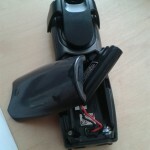 Now we had to buy a new phone, we did so yesterday. So we have a shiny red phone now and people can call us again at 805 308 3682. Sorry for the inconvenience to anybody who couldn’t reach us yesterday. we’ve been very busy over Thanksgiving and we are preparing for Christmas as it is approaching with big steps. 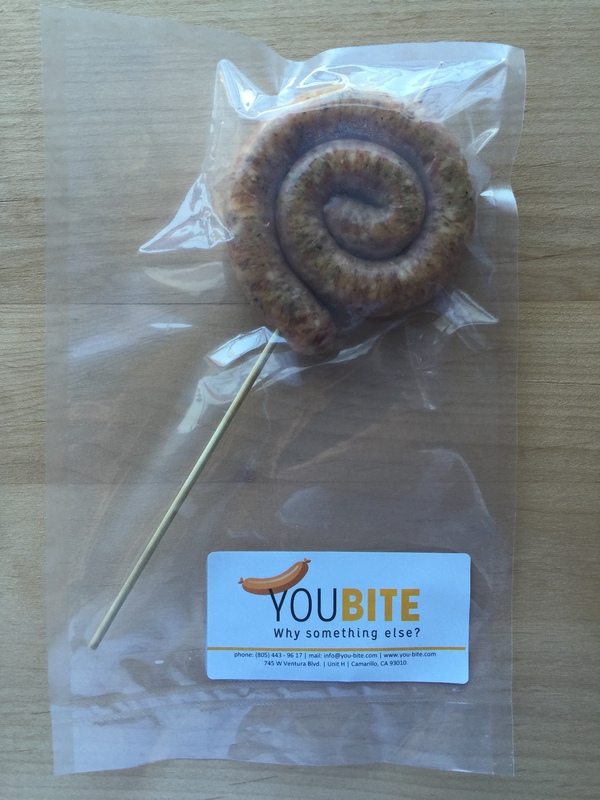 As a special Christmas candy we came up with the Sausage Lolly today. 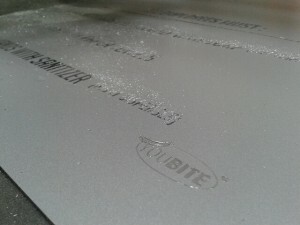 We like it so much that we will probably incorporate it in our product line. We are delivering 1.400 sausages for the Nottigham Festival in Simi Valley this weekend, Nov 7th and 8th. It’s a renaissance faire and it looks like it will turn out to be great. Production is done and sausages are delivered to our client. We wish them and everybody else a nice and successful festival in Simi Valley. If we find the time we might stop by and take a look at all the lords and ladies (and of course the food). Finally, we’ve been up and running for nearly two months now. We are very busy so unfortunately there is very little time to design this website. As we are a family business, everything (the sausages, the office stuff and everything that comes with owning a business) is done by us. It is a lot of fun but also a lot of work. But we’re working hard on getting the website ready. So make sure you check back soon for updates! If you are looking for high quality sausages, you’ve come to the right place. We have the means of a wholesale supplier but the flexibility of a family business. Just give us a call at 805 377 5317 or email us at info@you-bite.com. Finally, we are very close to start production. We are awaiting our USDA approval and we are eagerly finishing up loose ends along the way. Today we designed and finished our signs for our facility that provide us with the “do’s and don’t’s” of our day to day routine. Naturally our logo will be on the signs because we like it so. Of course coloration will follow shortly. This is the first post of many more to come. Make sure you check back soon!